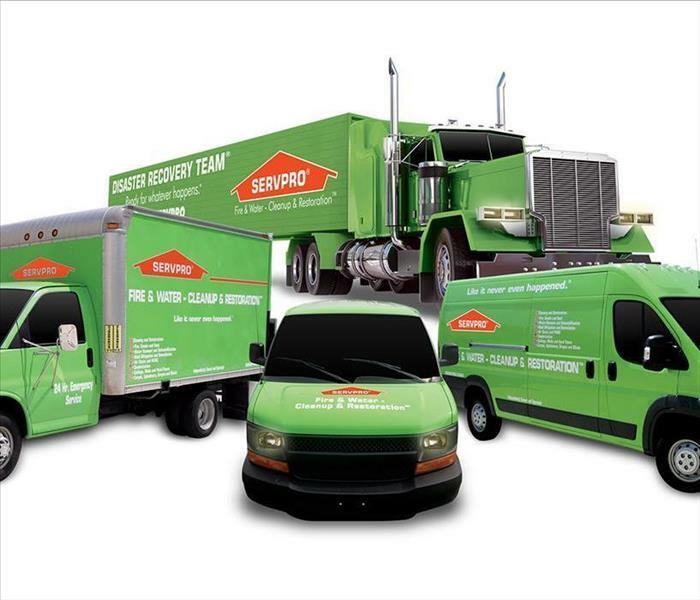 SERVPRO of North Palm Beach County is a member of the Palm Beach North Chamber of Commerce. 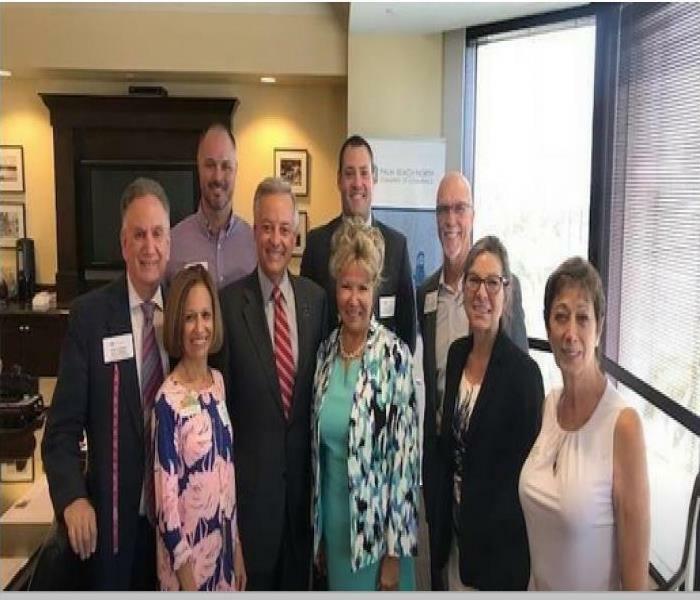 Donna Goldfarb is a member of the Small Business Advisory Council who hosts the CEO connection. In May we awarded scholarships to 4 deserving young women who are beginning their college experience. 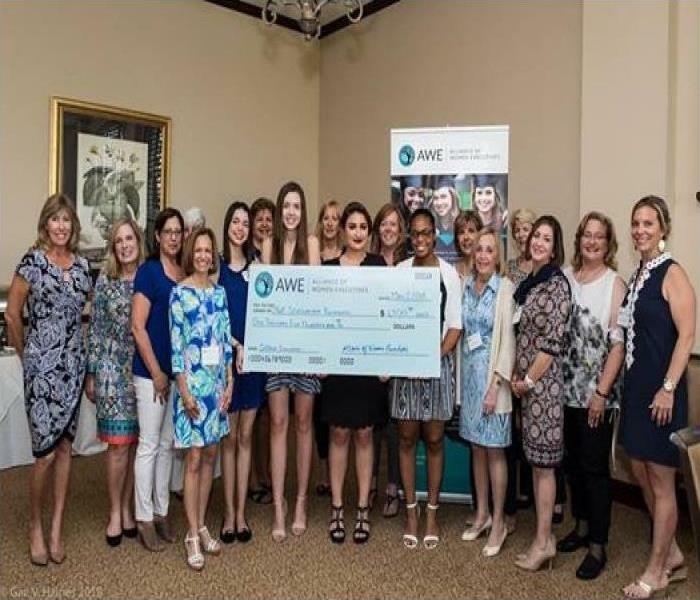 SERVPRO of North Palm Beach County's very own Donna Goldfarb is a proud member of the AWE who was fortunate to meet these inspiring young women. For more information on AWE, check out www.aweinc.org. 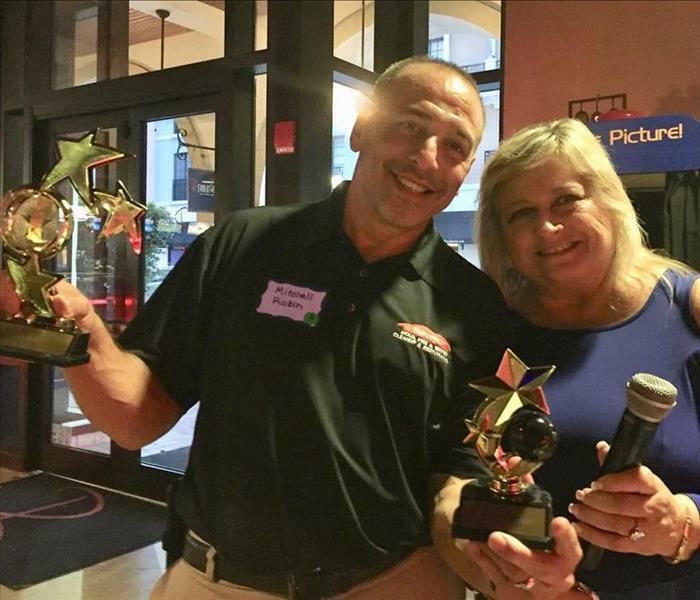 SERVPRO's leader, Mitchell Rubin, is holding awards for Highest Score and 1st Place Team! The event was held at Revolutions Bowling in City Place. 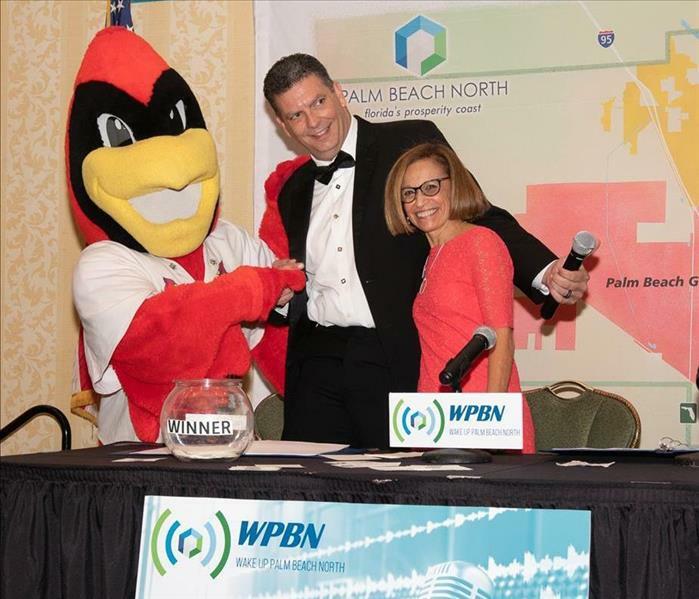 2017-2018 Palm Beach North Chamber of Commerce's "Volunteer of the Year"
Our very own Donna Goldfarb was awarded "Volunteer of the Year" for the Palm Beach North Chamber of Commerce 2017-2018 year! We are so proud of all of her community service efforts! Way to go, Donna! 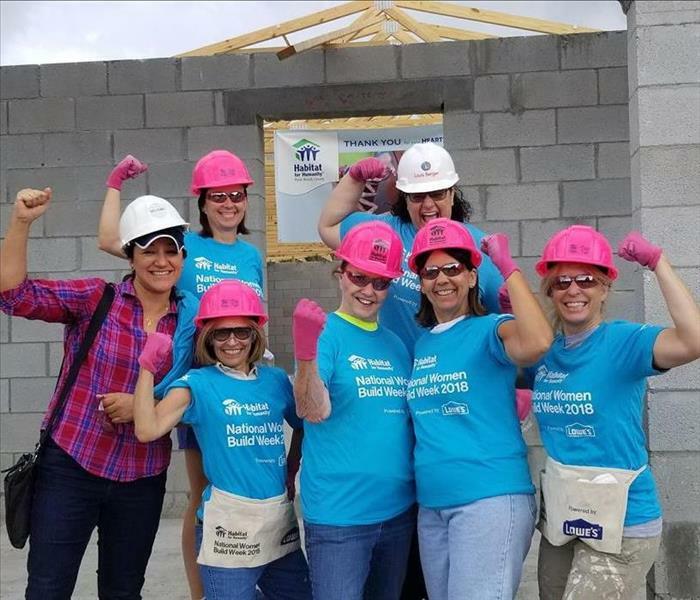 Women in Business Council, Palm Beach North Chamber of Commerce Team Women Build event! We had a great day working under the guidance of construction professionals, and also alongside other volunteers and future Habitat homeowners. What a rewarding experience for all involved! We love to give back to our South Florida community in any way that we can! 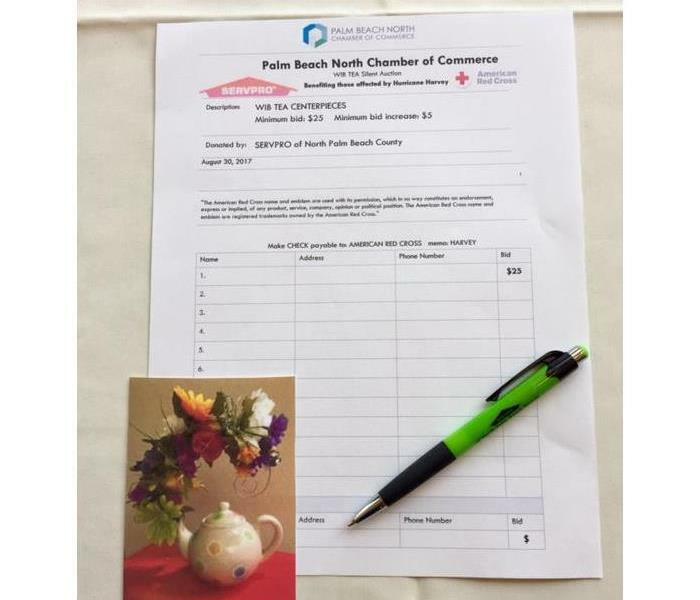 Our very own Donna is the 2016-2018 Chair of the Palm Beach North Chamber - Women in Business Council. 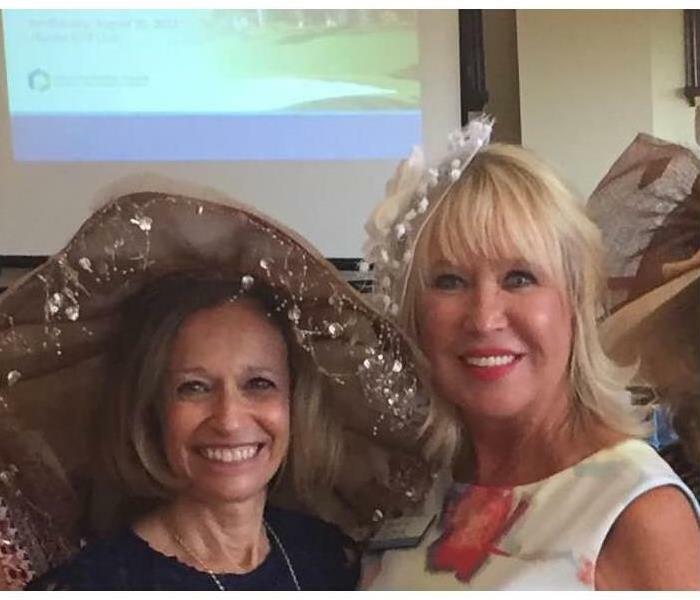 This year's annual TEA hosted approximately 150 ladies wearing their finest hats. 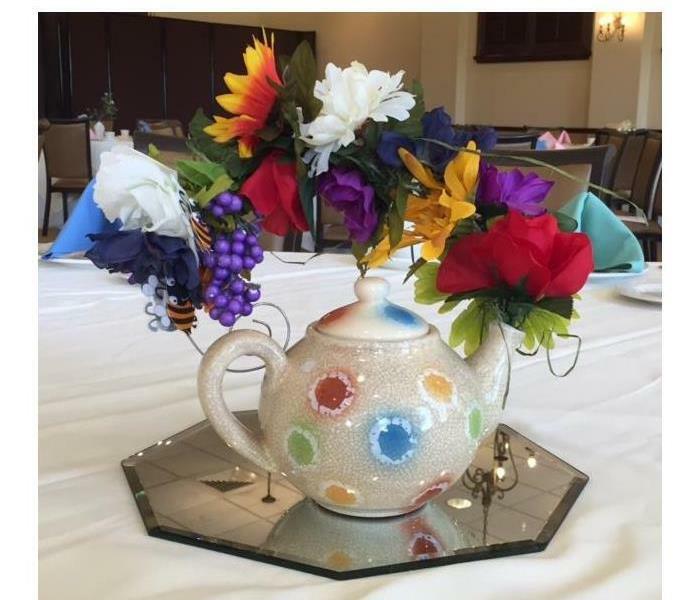 SERVPRO of North Palm Beach County donated the centerpieces and Donna personally made all 15 of the centerpieces. We were able to donate more than $800 to the American Red Cross to benefit the victims on Hurricane Harvey. 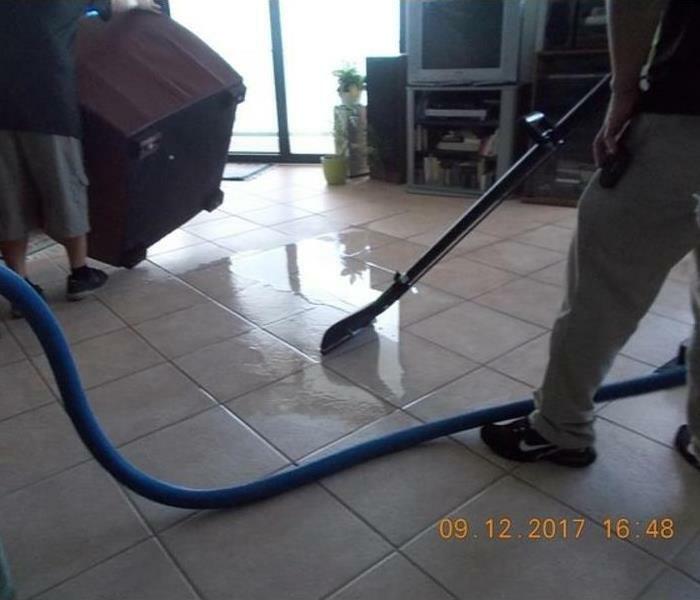 SERVPRO of North Palm Beach County takes great pride in our community involvement. We firmly believe that being active in the North Palm Beach County community keeps our neighborhoods united, safe, and secure. Being involved in Gift Giving during the holiday season is one of our greatest joys. Stay tuned for our next big event!